Tanner De Witt is pleased to move up two spots in the ALB Top 50 Largest Law Firms list this year. 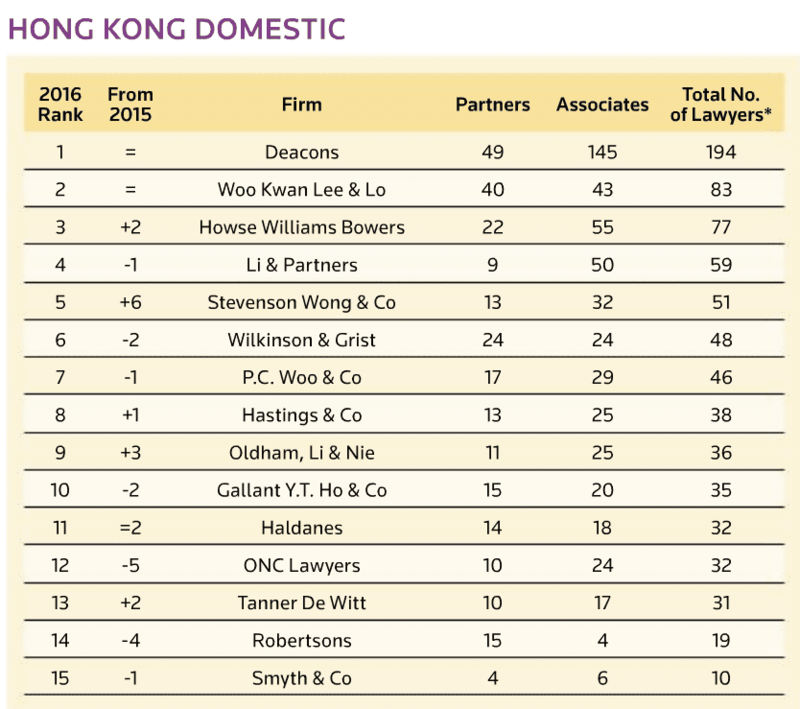 With a total of 10 partners and 17 associate lawyers we are ranked as the 13th largest domestic law firm in Hong Kong. You can see a full list of our team members including paralegals, trainees and registered foreign lawyers here. ALB combines news and analysis from its team of professional legal journalists and the expert opinions of senior industry professionals with Reuters news and insights that power businesses across the globe. Please contact us here for further enquiries.